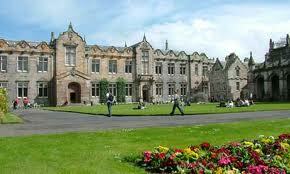 These entrant scholarships are for international students who will be studying at St Andrews for an undergraduate degree starting in 2013. The scholarships will be awarded as a tuition fee reduction of up to £4,000 per year for each year of the student’s undergraduate studies and will be awarded on the basis of financial need. Demikianlah informasi mengenai International Undergraduate Scholarship, University of St Andrews, Scotland UK semoga berguna bagi anda.